Denali Fiberglass Reinforced Plastics (FRP) - Denali FRP Supplier | R&H Technical Sales, Inc. 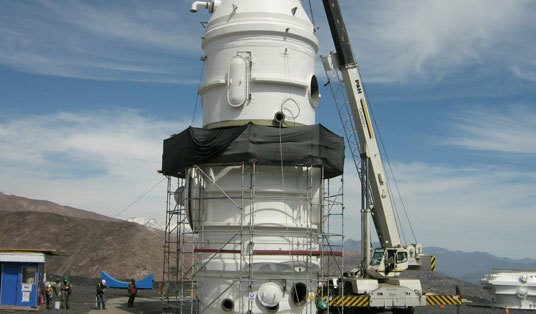 The industry leader in Fiberglass Reinforced Plastics (FRP), Denali Incorporated and its subsidiaries have been supplying various industries around the world with innovative and steadfast products, systems and components for fluid and fume handling since 1994. They have become the world’s largest manufacturer of custom-engineered, corrosion-resistant & fiberglass reinforced plastic (FRP) products. In the Denali family of companies, they serve industries ranging from chemical/petrochemical to power generation and from water/wastewater to pulp and paper. Belco Manufacturing, Ershigs, and Fabricated Plastics are just some of the trusted names that encompass Denali Incorporated. With each of these specialty companies comes the Denali expertise that is globally recognized.